There are a lot of myths out there involving varicose veins and spider veins, what causes them, their treatment methods and so much more. We’re busting some of the most common myths we’ve heard over the years of working in the industry. Myth 1: Varicose veins are purely a cosmetic problem. We’ve already busted this myth a few times. While varicose veins are indeed unsightly, their complications and symptoms go far beyond aesthetics. Increased pressure in the leg veins can lead to more serious symptoms such as pain, throbbing, aching, swelling, fatigue and leg heaviness. 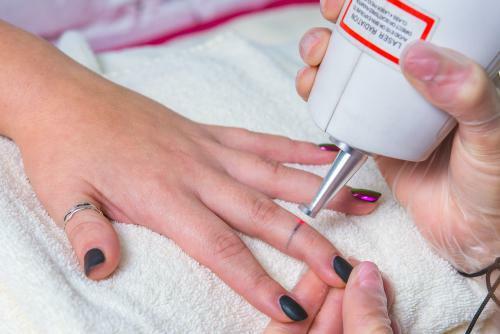 In extreme cases, the skin on the legs can become damaged, resulting in dark pigmentation and scarring; and one percent of adults over 60 years of age report that they experience chronic problems like skin ulcers. Myth 2: There’s no point in treating varicose veins since they will always recur. This myth stems from inadequate treatment methods of the past. The procedures used today (by true vein specialists) are safer, longer-lasting and more efficient. Once veins are successfully treated by a qualified physician, like Dr. Gosin at Shore Vein & Vascular Center, the recurrence rates of vascular veins is typically below 5 percent. 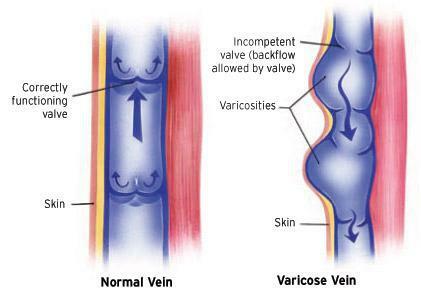 In general, if varicose veins do “recur” it’s actually usually a completely new malfunctioning valve, which again, can be quickly and easily treated. Myth 3: Varicose vein treatments are painful, and more trouble than they’re worth. Outdated techniques like vein stripping are no longer used by vein specialists, instead, varicose vein treatments have evolved to being non-invasive and relatively quick procedures with short recovery times. We described the best treatments more in depth back in June, but they include the Excel V Laser System, sclerotherapy, phlebectomy, and Venefit procedures. All these are considered outpatient procedures and are typically completed within a couple of hours and most patients are able to return to their normal activities the same day. Myth 4: Because the treatment of varicose veins is cosmetic, it’s not covered by insurance. Again, varicose veins are no longer considered just a cosmetic problem (although the treatment of spider veins often is). We’ve found that the majority of insurance companies will cover varicose vein removal procedures – especially when related to a diagnosis of venous reflux disease. In fact, since varicose veins can lead to more serious complications (and more expenses to insurance companies) down the line, they’re actually more eager to pay to have the issue taken care of right way. Coverage is usually dependent on the diagnosis through ultrasonography testing by a licensed phlebologist who will determine the size and dysfunction of the veins in the legs. Myth 5: I don’t need surgery, compression stockings will cure my varicose veins. While support stockings seem like a great alternative to seeing a vein specialist and going through with a procedure, they’re simply not effective – especially as a long-term treatment. Once you take them off, they stop working. Compression stockings may provide relief temporarily, but they in no way solve the problem. Hopefully we’ve answered your questions and have quelled any fears of treating your varicose veins. If you have more concerns or would like more information and are in Atlantic County, Cape May County or Ocean County, New jersey, give Shore Vascular & Vein Center a call at (609) 927-VEIN (8346) for more information or to schedule an appointment.